Brokers expected nothing less: a pronounced first-quarter surge in market share for balance-sheet lenders. 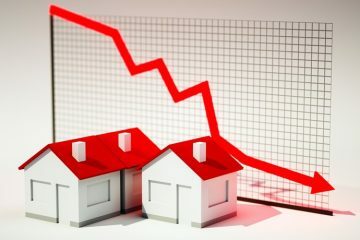 Bans on default insurance and insurance premium increases, both led by the Liberal government, resulted in what CMHC’s Evan Siddall coined “intended consequences,” two words that have become a rallying cry for the entire broker industry. The policy gang (DoF, Siddall, OSFI, et al) have heavily tilted the playing field in favour of banks, and the numbers now bear that out. Fortunately, brokers are lucky to have two outstanding Big 6 banks in our channel that have been faithful broker partners: Scotiabank and TD. 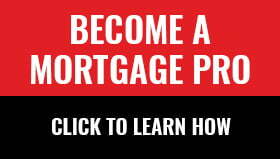 Many well-qualified borrowers, however, aren’t so comforted by this — for they now have considerably fewer low-cost options for financing refinances, single-unit rental properties, deals with self-employed income, higher-priced homes and amortizations beyond 25 years. The lenders doing the bulk of this business are a handful of banks. The reason: government policy makes it easy for them to now undercut securitization-dependent lenders by up to 15-20 bps. Meanwhile, typical uninsured spreads (i.e., the average mainstream lenders’ refi rate minus the 5-year swap rate) have widened roughly 15 bps since the rule changes. That is not what happens when there’s healthy competition. Scotiabank’s share exploded 890 bps, the biggest quarterly gain we’ve ever seen among the top 10. It snatched the most market share since Q3 2012. Back then it hit 23.6% (the high-water mark of any lender since CMT began tracking this data in 2010). With its formidable rates, service and product offering, Scotia could blow past that record this quarter (Q2). TD also had a strong showing, and it could put up even bigger numbers in Q2 given its lack of surcharges on refis, product range and closing fees promotion. Overall, banks gained 6.6% share in Q1 and monolines lost 9.1%. Interestingly, Home Trust posted record share last quarter (10.7%). Everything was going so well, right until the Ontario Securities Commission summarily rocked its world. Among the provinces, Ontario once again posted the largest year-over-year gain in submission volume, up 3.7%. Alberta posted the biggest drop, down 1.6%, followed closely by B.C., which saw broker volumes dip 1.3%. Data Source: D+H puts out a terrific non-public report called Lender Insights, which compiles lender market share data in the mortgage broker industry. We receive data from that report via third-party sources and have quoted it here. The data above is not confirmed, but is believed reliable. Note: These market share figures do not count Newton volumes (D+H’s small but growing competitor) and leave out a few lenders who D+H doesn’t report by name, like CMLS Financial and Manulife.